As the world becomes a more complex place and lawsuits grow in popularity, process servers are finding themselves in higher demand than ever before. 2017 is proving to be an especially great time to be a process server, thanks to the many conferences, conventions, and training seminars available all over the country. This Georgia Association of Professional Process Servers event is a conference and continuing education seminar held in Decatur, Georgia. At only $99, this is an affordable and productive meeting if you are involved in the Georgia process server realm. 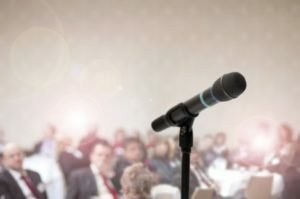 In addition to holding elections for all board positions, this conference offers a catered lunch, a number of vendors to browse, and excellent connection-making opportunities. You receive 5 CE credits for Certified Process Servers for attending as well! Much like the GAPPS, the Florida Association of Professional Process Servers is also holding its annual conference this March in Kissimmee, Florida. It promises fun and valuable learning experiences with a 50s Sock Hop Theme, educational seminars, continuing education, and a banquet packed with events and entertainment. Far from the warmth and sun of Kissimmee, Florida, the Michigan Court Officer, Deputy Sheriff & Process Servers Association (MCODSA) is hosting its training seminar in the beginning of April in Clinton Twp., Michigan. The seminar is designed to help interested parties gain the knowledge needed to obtain their certifications through the state’s exam process. If you’re located in the Michigan area, this isn’t an event you want to miss. The Texas Process Server Association dedicates itself to promoting, upgrading, and perpetuating the process server profession. The group’s 2017 annual convention is being held in Corpus Christi in the middle of September. While the details are still being planned, it’s safe to assume that the two days will be packed with educational opportunities, vendors and chances to make more connections, and exciting social events. If you live in a different state, explore your own process server association to see how you can take advantage of great events like these.